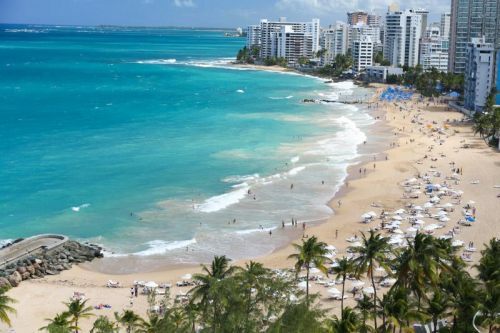 United Airlines has dropped the price of their January and February 2019 flights from Halifax to San Juan, Puerto Rico down to $317 CAD roundtrip including taxes. 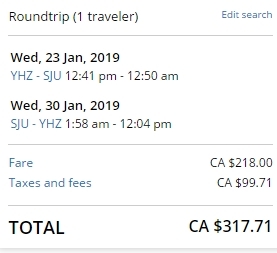 This is 50% below the typical best roundtrip prices from Halifax to Puerto Rico. Most flights have a long layover on the way there (6 hours). Some flights have the opposite problem, a really short layover (45 minutes). Puerto Rico was devastated by Hurricane Maria in September 2017. Today, The Guardian posted an article with a 'Then And Now' look at the progress that has been made with the recovery efforts. 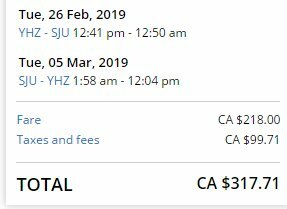 halifax, yhz, flight deals, caribbean, eastern caribbean, san juan, puerto rico, sju, greater antilles and united airliens.